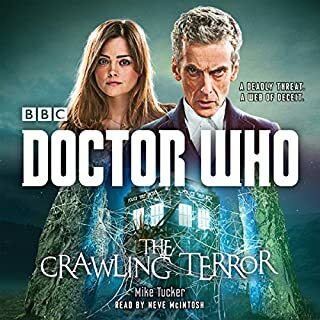 Lisa Bowerman reads this original novel featuring the Twelfth Doctor, as played in the BBC TV series by Peter Capaldi. Imagine everyone's surprise when a time portal opens up in Sydney Cove. Imagine their shock as a massive pyramid now sits beside the Harbour Bridge, glowing with energy. Imagine their fear as Cyrrus "the mobster" Globb, Professor Horace Jaanson and alien assassin Kik arrive. Finally, imagine everyone's dismay when a bunch of con artists turn up to spring their greatest grift yet. This gang consists of Legs, Dog Boy, Shortie, Da Trowel, and their leader, Doc, who is busy making sure the universe isn't destroyed. 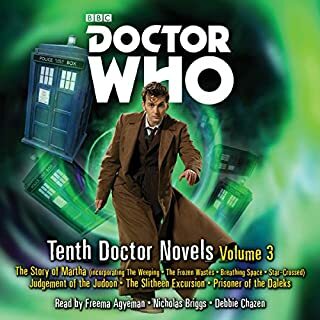 A complete and unabridged reading by Lisa Bowerman, who plays Professor Bernice Summerfield in Big Finish's range of audio adventures. ©2015 BBC Worldwide Ltd (P)2015 BBC Worldwide Ltd.
A poor story, badly written and badly read. Writer trying to copy Douglas Adams and failing. Insults Birmingham (my home town) and Australia (my new home) and the story is dull and The Glamour isn't the same as other Glamour Chronicles stories. The reader can't do accents at all - appalling Scottish, London and Australian accents. (I doubt she has even met an Australian). Voices used are annoying and oddly interchangeable between characters so it is difficult to follow. I persevered in the hope the ending would redeem the whole but no, just awful. Don't bother. BBC, we expect better! Found this really good. I've read the previous two and this has held my interest, despite at some parts being a little slow. Well done :) feels like an actual episode. didn't want it to end, I enjoyed it that much! I hope to find more like this. 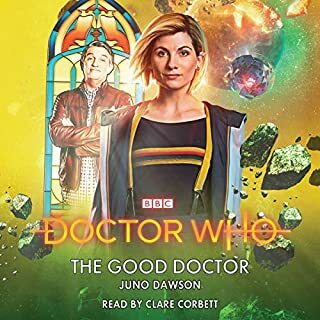 the reason I gave an overall rating of three stars is the story itself was an OK story in that you have the doctor and new people that we've never heard of before. Unfortunately with issues with the download and play back kept cutting out at different chapters it made it very difficult to keep track with the story. Multiple times throughout the story the playback with pause and also rewind and play again over and over. As for the story itself, it was an average type of story. I did not feel that excited about listening to the story as it was a bit difficult to follow. Granted the author didn't lay everything out at the beginning as well they shouldn't, but there was some gaps in the story that I felt it could have been better. it would be interesting to see the character Bernice Summerfield again in a different story as she definitely has a relationship with the doctor and it might be fun to see how that plays out. As for the other characters in the story it didn't grab me at all. I would not be disappointed never to see them again. the narrator's portrayal of the doctor was fairly good especially when she used her Scottish accent. The other characters she did okay with but again they sort of sounded all the same. Overall for me this story was sort of ho-hum. coupled with the playback issues I would not recommend this story. Peter Capaldi, as The Twelfth Doctor, is hard enough to handle. The many characters, including Bernice's gang and rivals, we're worthy of Sophie Devereaux! Bonus points for mentioning Cinder, The War Doctor's Companion. If you could sum up Doctor Who: Big Bang Generation in three words, what would they be? 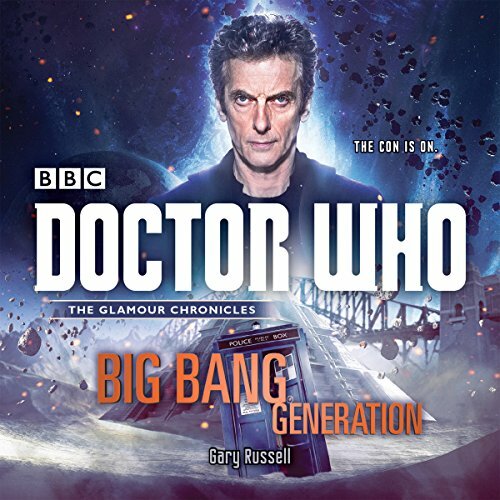 What other book might you compare Doctor Who: Big Bang Generation to and why? Alice Adventures in Wonderland and Through the Looking Glass. Cause it's like those stories. When the Doctor saved Sydney. Trying to take a Christmas Vacation and I don't. What made the experience of listening to Doctor Who: Big Bang Generation the most enjoyable? Big Bang Generation on audio is a more enjoyable experience as having Lisa Bowerman on narration duties means that we have the 'canon' voice of Bernice Summerfield telling us the story. This in turn means that many of her jokes - which may otherwise have fallen flat - are able to breathe effectively. Something else that helps the audio book is the different voices given to each of the.characters which can make it easier to differentiate them during some of the more character intensive scenes. I understand that being a modern Doctor Who book it essentially has the components of a young adult novel but it can help. My favourite character in the book is The Doctor himself. Capaldi's Doctor seems to be perfectly captured in this book given the situation. He is equal parts grumpy old man, completly out of his depth newcomer and old friend - it seems for once he isn't just pretending to be the fool to bamboozle the enemy before revealing his puppet master plan! Incidentally I LOVE Bowerman's interpretation of Capaldi's voice! 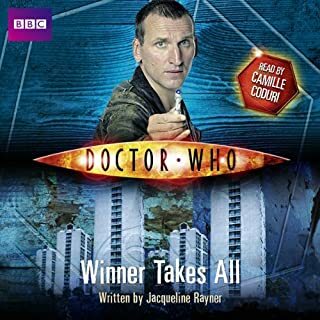 I can't go into much detail without spoiling the ending of the book but I will say The Doctor has a moment near the end that nearly brought me to tears. It is on the same level for me as the speech from the Zygon two parter. Lisa does a Stirling job narrating this book. She has a good crack at Peter Capaldi's Doctor and carries a good sense of energy and fun in the performance that makes it easy to listen too. Story wise its pretty clever and well thought through. I've listened to The Glamour Chronicles out of order, Deep Time, for me was a better overall story with a great epic feel, this doesn't feel as "epic" but is still enjoyable. I will take the time to listen to Lisa's Bernie Summerfield stories at Big Finish. 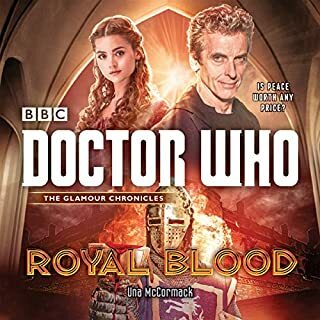 Production as ever on this audio book was very very good. Clear audio and some nice special effect sounds. Such a great thrilling read. Great paced novel by Gary Russell. It's wonderful to read another adventure featuring Bernice Summerfield and seeing her interact with Peter Capaldi's doctor. Also extremely accurate depiction of Sydney. Enjoyed the story and the narration. As the story progresses, the descriptive terms used sound very Pratchett or Douglas Adams. Very well used either way. I really did like this story, fractured in a good way and joined back to complete the end. When do we get a TV adventure with Bernie?, as she's a bit like River Song in a previous incarnation, food for thought there. Was so pleased that finally got a story that fused New series with some familiar characters for older fans. Good paced story and well read too. Delighted. Great narrator. Misinformed information regarding Australian spelling of 'labour'. Engaging listen with fun action sequences and well described time unraveling scenarios. Worth the purchase.